Major League Baseball is throwing gamers a curveball. 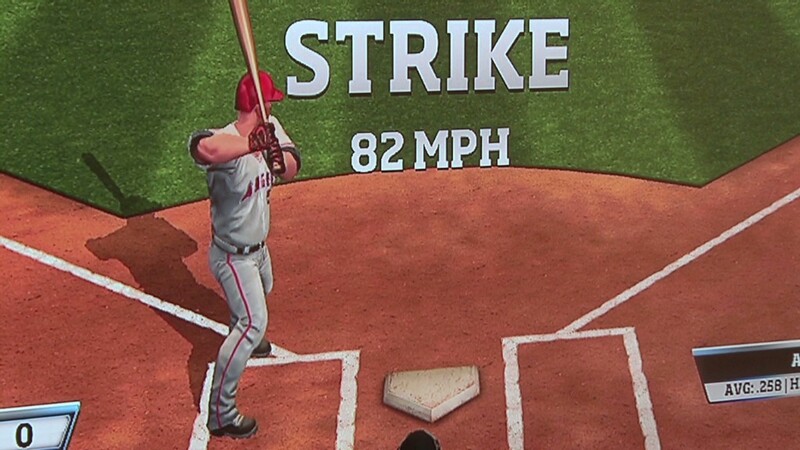 MLB Advanced Media, the league's digital arm, has released a baseball video game for PlayStation 3, Xbox 360 and Apple mobile devices. The game itself, RBI Baseball '14, is fairly conventional, but its release is not: It marks the first time a major professional sports league has developed its own console game. "MLBAM has done some games before, but online mobile games," said Samit Sarkar, reporter for the video game news site Polygon. "It's something new for a league to do a bigger console title like this." For its initial foray into console game development, MLBAM rebooted a classic 1980s Nintendo game. "We wanted to revive something that was loved and that people would readily know in the market and would want to find in the market, but we didn't want to go back too far," MLBAM CEO Bob Bowman said. Licensing trademarks to big-game developers like EA Sports and 2K Sports has been lucrative for sports leagues in the past. But aside retaining final say over the games, the leagues generally don't get involved in hands-on development, Sarkar said. So why is MLBAM taking the risk of doing their own in-house development? "Our thinking is we could do it, we can do it, why shouldn't we do it?" Bowman said. "And rather than take the sure thing of a license fee, take a little bit more risk certainly on the downside, we spent the money to build the game. Whether it turns out to be a great game, or however it evolves, we have the upside." Related: Xbox One vs. PS4: Which is best? Baseball console games are becoming rare. After years of lackluster sales, 2K Sports let their MLB license lapse, which left Sony's MLB the Show as the sole remaining console game. "Sony does a great job," Bowman said. "That's a great game, but it's a different game. This is a cheap and cheerful game." Cheap might be the key selling point. RBI Baseball '14 retails for $19.99 for the Xbox and PlayStation versions, while Sony's baseball game costs $40 more. Being a part of MLB saves money on team trademarks, but Bowman said that MLBAM isn't focused initially on turning big profits. "We play for the long ball," Bowman said. "We don't need to make money this year. We need to create a great product that will grow." MLBAM says versions of the game for Android, PlayStation 4 and Xbox One will be coming later this spring.